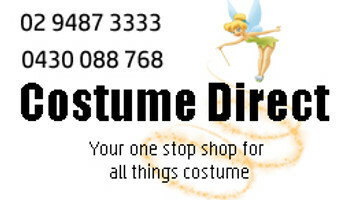 Follow the yellow brick road straight to Costume Direct online where you can buy a wide range of Wizard of Oz costumes with fast shipping Australia wide! "There's no place like home . . ." But you can feel at home in our wonder-ful Wizard of Oz outfits! Win hearts as Dorothy with adorable Toto, show your wise side in our 'Oz the Great and Powerful' costume, grant wishes as Glinda the Good Witch or try something a little darker as Elphaba. Other favourites such as the Cowardly Lion, Tinman and Scarecrow are also available! Order online or hire from our store, but either way - Follow the Yellow Brick Road to your destiny as a Wizard of Oz character!